Lessons begin at 11:00 a.m. every day all year long. Minimum age is 8 years old, and children younger than 12 years must be with an adult. The class is limited to 8 people. You will then be split into smaller groups based on skill level. Please bring a swimsuit, towel, sunscreen, and a smile. 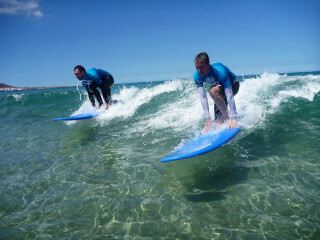 No previous surfing experience is required, but participants should have decent physical fitness. 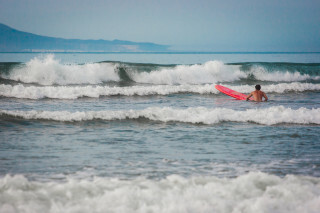 The waves of Puerto del Carmen’s beaches welcome surfers of all levels. Whether you’ve never touched a surfboard or you can catch high waves, this surfing lesson works around your level for maximum improvement. 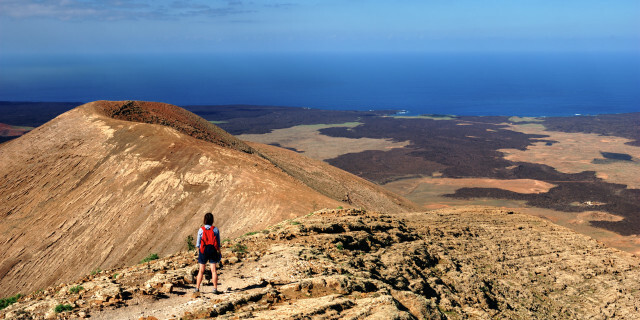 Practice your moves on the gorgeous waters of Lanzarote's southeastern beach town of Puerto del Carmen. 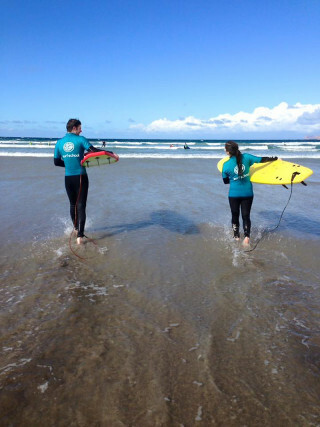 You meet your instructor at the surf school where you receive your wetsuit and a surfboard. Eight people maximum may join a lesson, and from there you split into smaller groups according to skill level. Whether you’re a beginner, advanced or expert, the instructor makes sure you challenge yourself and have fun while doing so. As you surf, enjoy the views of the volcanic landscape of the mainland. Hills of orange-tinted rock stand out brightly against the blue skies and palm trees border the bright sand of the beach. 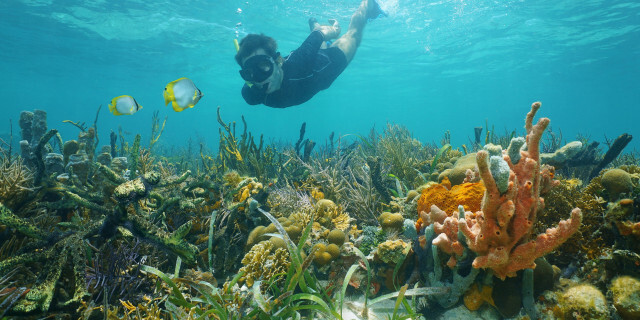 The structure of the lesson consists of 5 minutes on the sand focusing on a technique, and then about 20 minutes trying it out in the water. 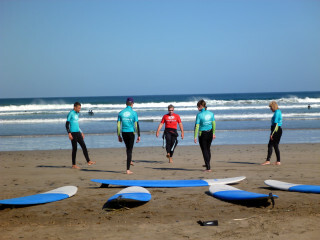 Surfers in the expert group are filmed and provided with feedback. After the entire two-hour lesson, notice your skills sharpening and your improvement skyrocketing. 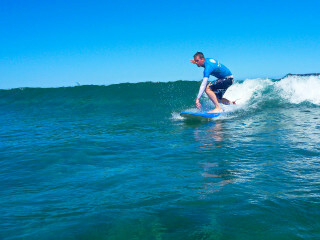 If you surfing-hungry, you can also decide for a 4 hour lesson. 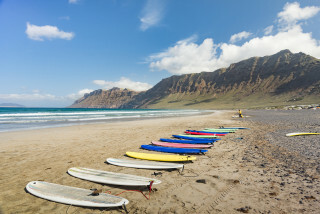 The coasts of Puerto del Carmen create a beautiful backdrop for a surfing lesson from the experts. With waves of varying size for each level, take advantage of Lanzarote's exceptional surfing conditions and perfect your technique.